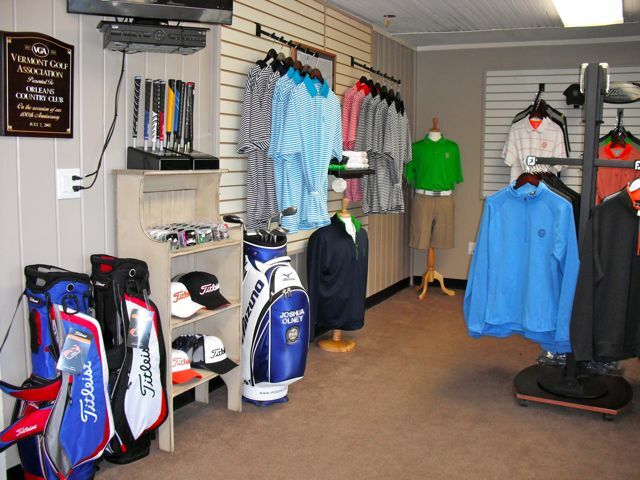 Orleans Country Club offers the best in equipment and apparel to compliment your game. Stop by our fully stocked Pro Shop before or after your round and browse through our wide selection of golf apparel, clubs, and accessories. Orleans Country Club offers a full practice facility, including driving range, chipping and sand area, as well as 3 practice greens, giving you a great opportunity to improve on all aspects of your game. Josh Olney, Orleans Country Club’s PGA Head Golf Professional, is available for both private and group instruction. Josh works with all levels of players and age groups. And Video lessons are available. If you have any questions or would like to schedule a lesson, please contact the Golf Shop at (802) 754-2333. Learn more about our rates. With a seating capacity of 120, our staff is able to service all your daily needs, as well as larger functions. Whether it’s lunch on our porch, dinner in our dining area or a cold beverage in our lounge, OCC’s staff is well prepared to make your experience as enjoyable as possible. Amenities such as a dance floor, podium and speaker system are available. For event planning, call Josh Olney at (802) 754-2333 today! To view our Event Menu, click here!